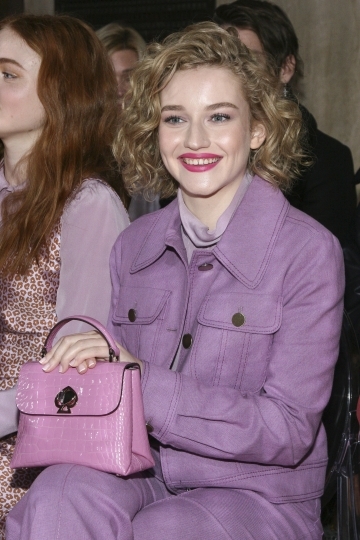 NEW YORK — In her sophomore collection for Kate Spade, creative director Nicola Glass stayed true to the brand's roots in upbeat designs, adding her own twist in the use of bold color. "The brand has always been super colorful, but (I) look at new ways to use color and more unexpected mixes," Glass told The Associated Press before the Friday show at New York Fashion Week. Many of her designs came in fluid silhouettes. In addition to animal print, she used stripe designs and a crochet feel in some looks. As for one of the brand's mainstay, handbags, Glass said new designs have the heart-shape twist lock in different sizes as she worked with enamel and her new leather textures, including faux python. 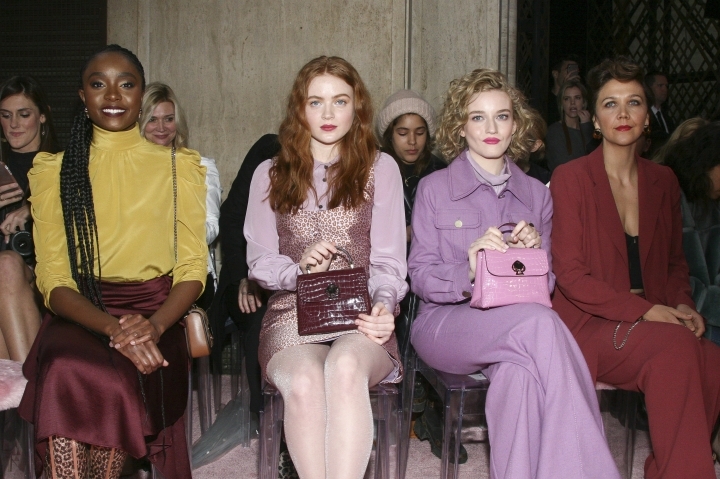 Actresses KiKi Layne, Maggie Gyllenhaal and Julia Garner sat on the front row. Layne, the "If Beale Street Could Talk" star, just landed her first major fashion campaign as the face of Kate Spade. She told the AP she still isn't used to seeing her face everywhere and hasn't found time to splurge on fashion buys since becoming a new Hollywood name. "First big fashion splurge? I feel like I still haven't done it yet," the budding star laughed. "Not a real, real big one. I mean, everything is just getting started, so I've been taking care of the boring practical stuff. Trying to be a, what? A responsible adult."